The side-scrolling platformer challenges players to help Rayman and Barbara rescue the Incrediballs and regrow a Sacred Tree. 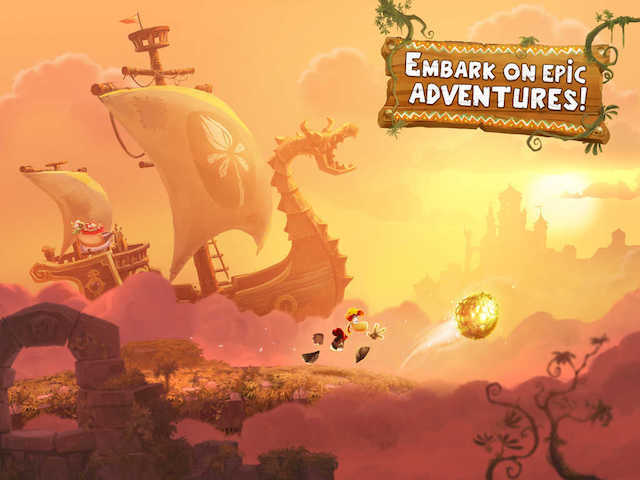 Ubisoft has announced the release of Rayman Adventures on iOS and Android. The level-based side-scrolling platformer sees players help Rayman and his Viking companion Barbara on a quest to rescue creatures called the Incrediballs and regrow the Sacred Tree. Players can choose Rayman or Barbara as their playable character. In each stage, the character runs left or right automatically, and players can swipe to change their direction. Gamers can tap on the screen to jump and swipe to attack, and can find hidden items in some environments, which add to their score. At the end of each level, players earn up to three prizes, depending on their final score. Levels are split into groups, and players rescue a new Incrediball egg at the end of each group. These eggs take time to hatch, but players can use premium elixirs to speed up the process. Elixirs can also be used to change the rarity of the Incrediball inside, as another example. In addition to being found in eggs, Incrediballs can be found hiding on the level map, or earned from the game’s premium lottery tickets. As players collect these creatures, the Sacred Tree grows. While gamers can replay levels to increase their high score and potentially earn more prizes, once they’ve moved onto a new level group, they can’t go back to previous levels. Players can take up to three Incrediballs into each level. These creatures have special abilities, and may help players find hidden objects, or can protect players from enemy damage, as examples. Once an Incrediball has been used in a level, it returns to the Sacred Tree to rest, and must be fed before it can be used again. Users can earn free food as they play, and can earn additional food by watching videos. Rayman Adventures is available to download for free on the iTunes App Store and Google Play.